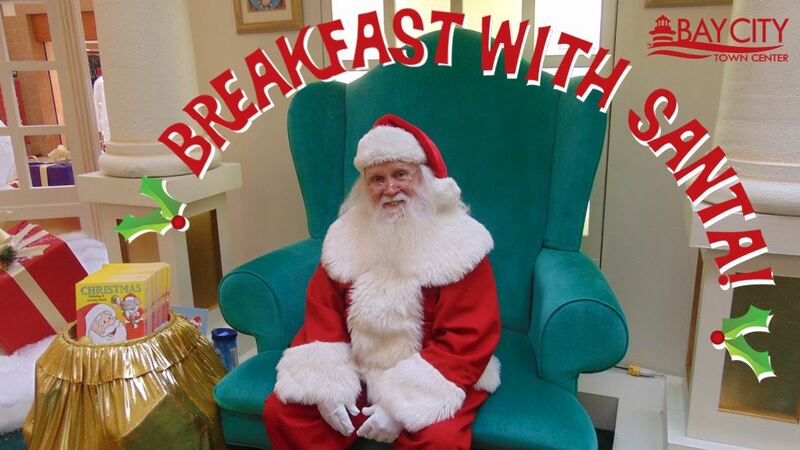 Enjoy breakfast with Santa to benefit Santa’s Cupboard on Saturday, November 18th from 8 – 10 a.m. in Center Court. $2 per person will get you a sweet treat from Cops & Doughnuts, juice, a holiday craft, chance to meet Santa and admission to this unique event! Tickets are available for purchase at Bay City Town Center offices Monday-Friday from 9 a.m – 4 p.m. and the morning of at the event while supplies last. Refreshments provided by Cops & Doughnuts – Sutherland Precinct and sponsored by Fraternal Order of Police & Youth Advisory Committee-Bay Area Community Foundation. Santa’s Cupboard is a non-profit organization that provides Christmas presents for hospitals, homeless shelters, women’s centers and for families that have an ill child at home. The Fraternal Oder of Police is the world’s largest organization of sworn law enforcement officers, with more than 330,000 members in more than 2,200 lodges. The Bay Area Community Foundation Youth Advisory Committee is a group of dynamic young people who positively impact the youth of Bay County by identifying needs, developing & distributing funds and volunteering within our community.